A bit paradoxically, like most of my thoughts and actions, I am writing about Chicago, Illinois today as I am in Dublin, Ireland. I suppose it is not a total paradox as usually leaving some place always gives you a better perspective on it... Regardless, for the last 2 months, I have made Chicago my new home. 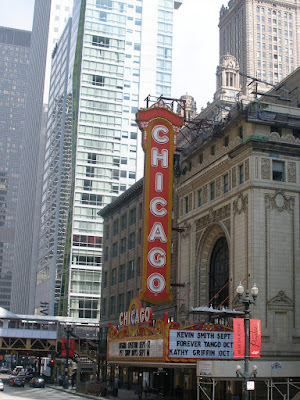 I have learned that some of Chicago’s nicknames are “The Windy City” (very appropriately) and Chi-town, which is actually pronounced “shy”-town, but which I pronounced Chi (like Chia pet)-town until corrected. Chicago is massive. I don’t know why this perpetually astounds and even disturbs me, knowing full well that it is the third largest city in the USA. Yet, it still strikes me as odd. Even New York, the first largest city, seems smaller to me. Or perhaps it just feels more concentrated. Chicago seems to go on and on and on. It seems like a downtown that should be walkable, but miles sneak into the total revealing that something is not .5 miles away but 1.5 miles away. This is a bit distressing for me since I am navigating the city without a car and with a recently stress-factured foot. On the other hand, it adds to the intrigue. There is no end to this city’s discoveries. I like Chicago perhaps because I believe it to be the most international, American city. Many might get defensive at this claim and point to New York City as the obvious choice. And, don’t get me wrong, I grant that New York is very international. At the same time, New York is so much of the world believes to be “American.” It always felt to me that this is a city where people go to be, see, buy or sell America. New York City represents the entire United States of America to so many people. New York has also always struck me as the quintessential “melting pot.” People of all cultures, languages, religions, traditions and lifestyles come to New York to swirl about it this pot. No matter how varied the ingredients, it is its “Americanism” that New York puts on display. Flags abound in New York, on ads, buildings, caps, statues, restaurant fronts, and shop windows. In New York City, amnesia could not stop you from recognizing what country you are in. Chicago on the other hand doesn’t feel melted at all. America is definitely here, but so is Poland and Greece, and Ethiopia, and Italy. I live in Edgewater, and virtually every day that I step out of my building, the first language I hear is one other than English. In fact, it is usually a language I can’t quite pin down. Even in my little neighborhood of 10+ streets, there is a fascinating mix of restaurants and stores as well: a bakery that serves bubble tea, 2-3 Ethiopian restaurants, an Asian fusion restaurant, and an Afro-Caribbean market place. Even in my tiny, neighborhood library, there is a whole section of books written in Cyrillic. This mix is comforting to me. I don’t know why. My background being its own interesting mix of nationalities, cultures and languages, perhaps this variety has always been my experience of the world. Or perhaps, like a Tigger* who doesn’t recognize borders, I have spent the last 30 years bouncing around on my tail, hopping into different countries and cities with every bound. In Chicago, I have shorter distances to go; I can bounce into Germany or Sweden by hopping a couple streets instead of a continent. For someone who can’t sit still, who has proven to have a theoretical “bottom made out of springs,” this keeps me highly entertained.